Jeżeli jedna usługa pada i to pociąga za sobą cały system, to nie jest to architekura Microservices . a single Java WAR file. 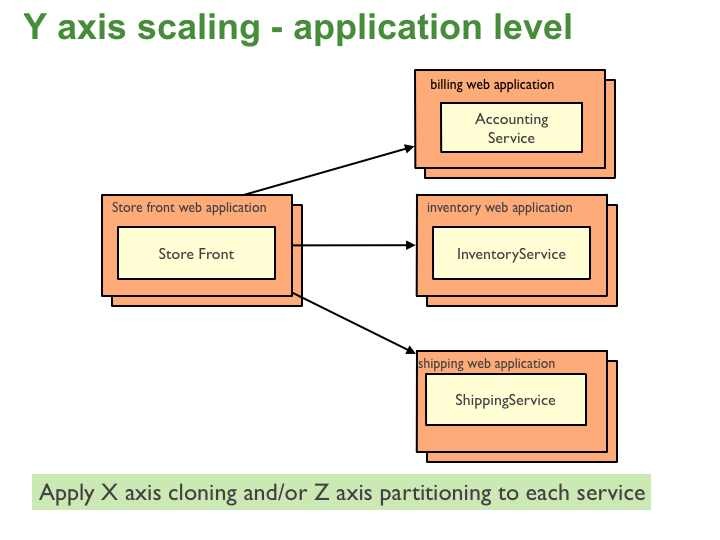 Architect the application by applying the Scale Cube (specifically y-axis scaling) and functionally decompose the application into a set of collaborating services. 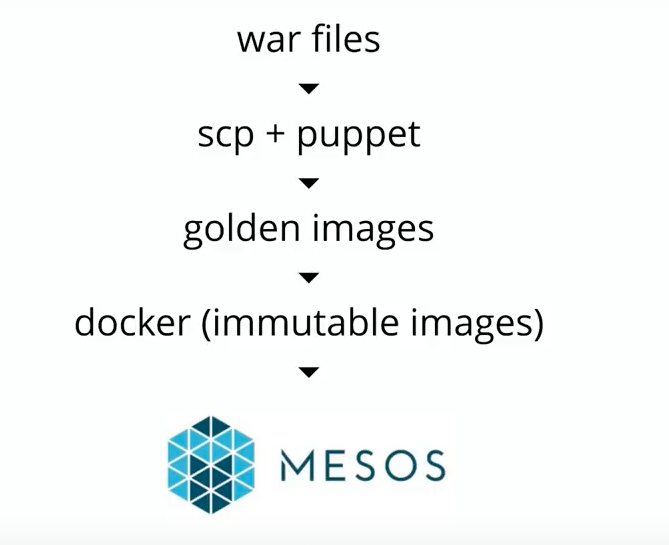 Each service implements a set of narrowly, related functions. For example, an application might consist of services such as the order management service, the customer management service etc. 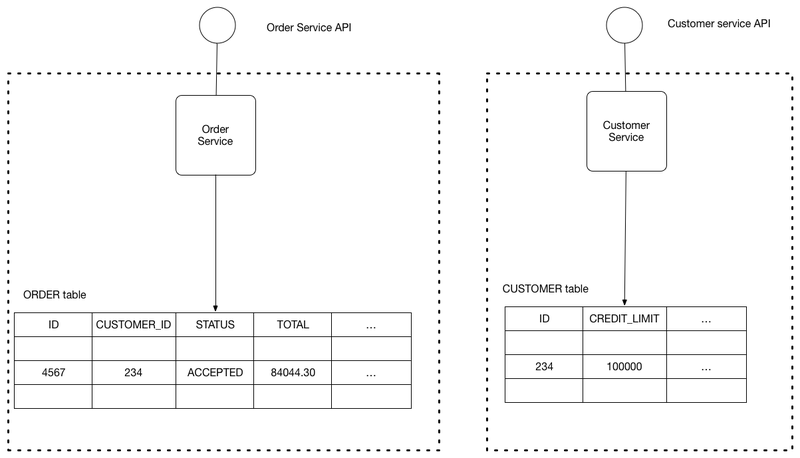 Each service has its own database in order to be decoupled from other services. When necessary, consistency is between databases is maintained using either database replication mechanisms or application-level events. 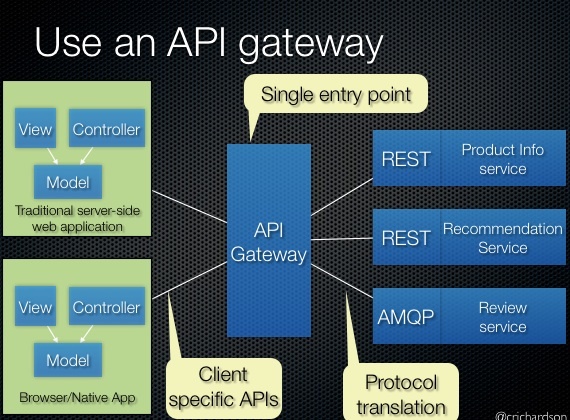 Rather than provide a one-size-fits-all style API, the API gateway can expose a different API for each client. 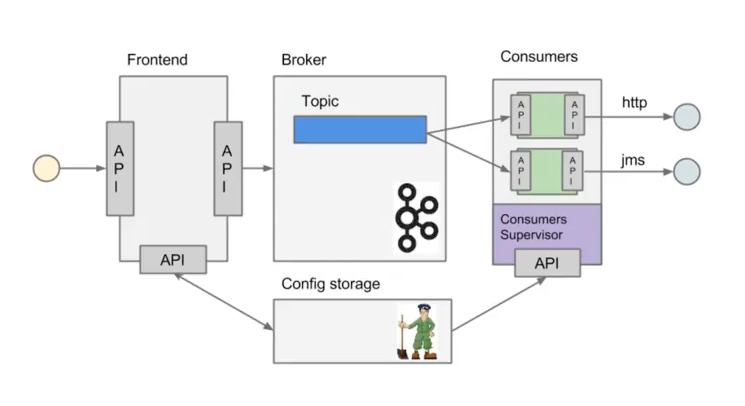 For example, the Netflix API gateway runs client-specific adapter code that provides each client with an API that’s best suited to it’s requirements. 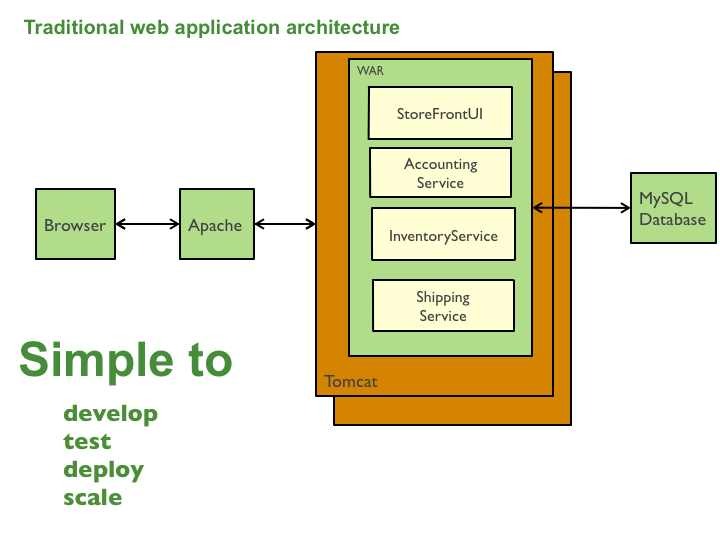 Implement a service registry, which is a database of services, their instances and their locations. Service instances are registered with the service registry on startup and deregistered on shutdown. 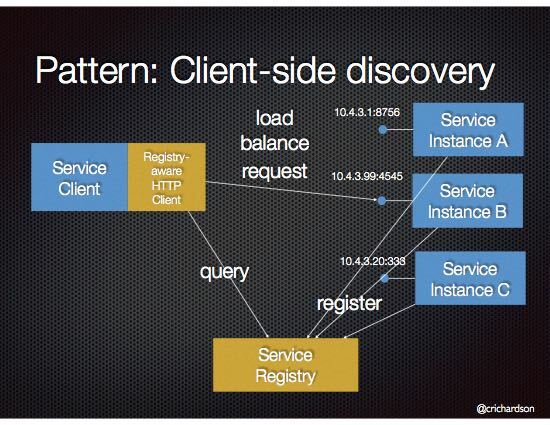 Client of the service and/or routers query the service registry to find the available instances of a service. 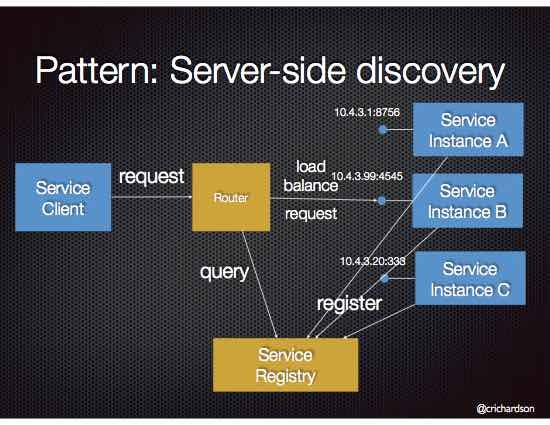 A service instance is responsible for registering itself with the service registry. On startup the service instance registers itself (host and IP address) with the service registry and makes itself available for discovery. The client must typically periodically renew it’s registration so that the registry knows it is still alive. On shutdown, the service instance unregisters itself from the service registry. A 3rd party registrar is responsible for registering and unregistering a service instance with the service registry. When the service instance starts up, the registrar registers the service instance with the service registry. When the service instance shuts downs, the registrar unregisters the service instance from the service registry. 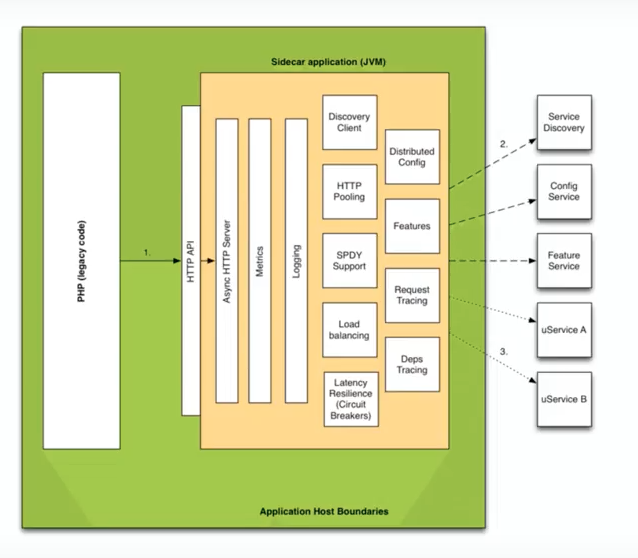 Netflix Prana - a “side car” application that runs along side a non-JVM application and registers the application with Eureka. Run multiple instances of different services on a host (Physical or Virtual machine). Keep each microservice’s persistent data private to that service and accessible only via its API. Reliably publish events whenever state changes by using database triggers. Each trigger inserts an event into an EVENTS table, which is polled by a separate process that publishes the events. Use an event-driven, eventually consistent approach. Each service publishes an event whenever it update it’s data. Other service subscribe to events. When an event is received, a service updates it’s data. Reliably publish events whenever state changes by having the application insert events into an EVENTS table as part of the local transaction. A separate process polls the EVENTS table and publishes the events to a message broker. Split the system into two parts. The command side handles create, update and delete requests. 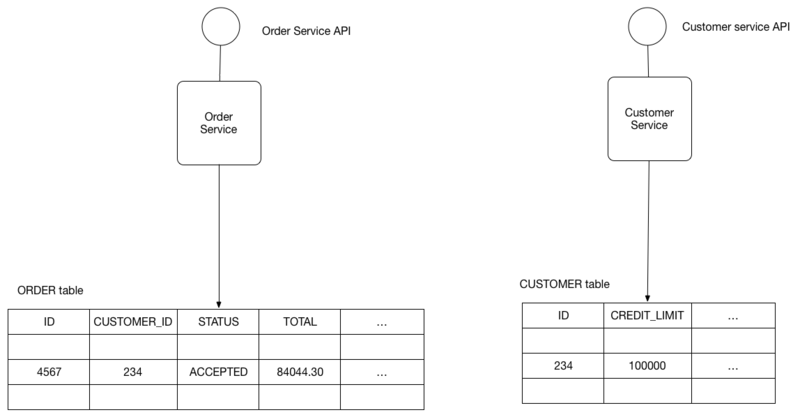 The query side handles queries using one or more materialized views of the application’s data. Reliably publish events whenever state changes by tailing the transaction log. © Copyright 2019, Matt Harasymczuk <[email protected]> Revision e2f544d0.